Bhugra Khan Manganiar was born in Tallo ka Gaon, a village of Rajasthan. He imbibed the rich musical tradition of the region at an early age. He received his formal training in folk music from Shri Gafoor Khan Manganiar. As a Khartal player, he has accompanied leading musicians including Shri Krishan Mohan Bhatt, Shrimati Kumudani Lakhiya, Shri Shujaat Khan and many more. He has performed extensively in major national and international festivals in London, Thailand, Norway, Austria, Denmark, Australia, Germany, Russia, Estonia, Uzbekistan, Nepal, Slovakia, Yemen, Stockholm, and Sri Lanka. He has to his credit a large number of recordings of Manganiar folk songs. 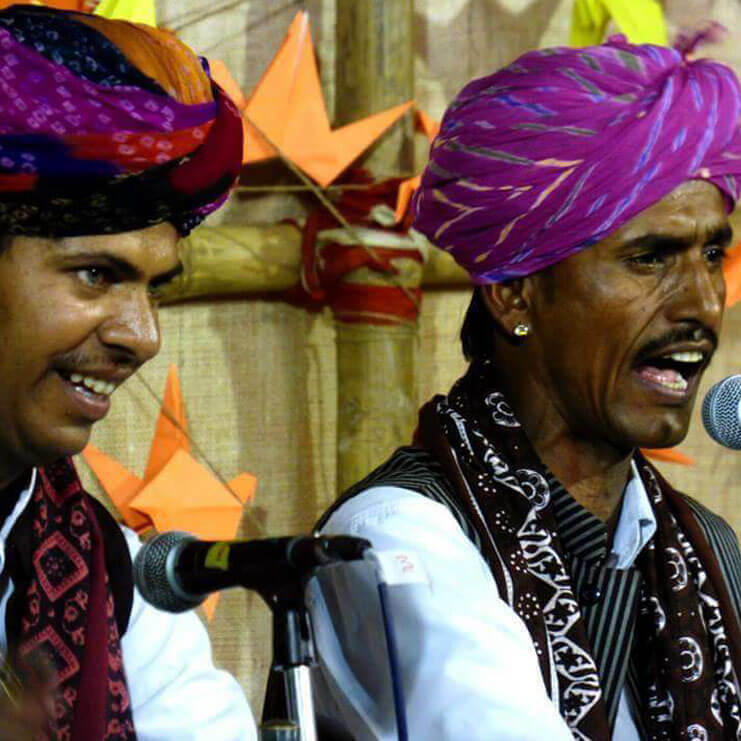 Bhugra Khan Managniar is awarded the Ustad Bismillah Khan Yuva Puraskar of Sangeet Natak Akademi for the year 2015 for his notable talent in the field of folk music of Rajasthan.